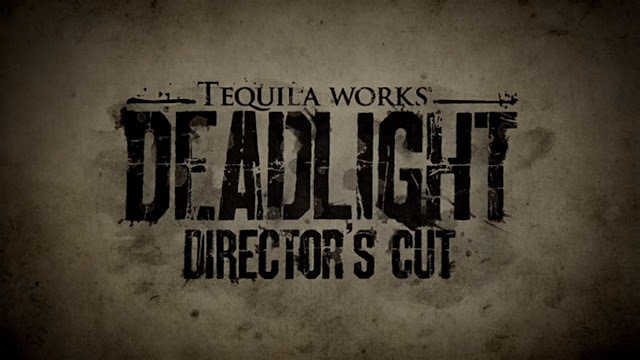 Asylum Reviews: Deadlight Director's Cut [Xbox One]. Tequila Works' Deadlight Directors Cut is a fantastic addition to anyone's collection. 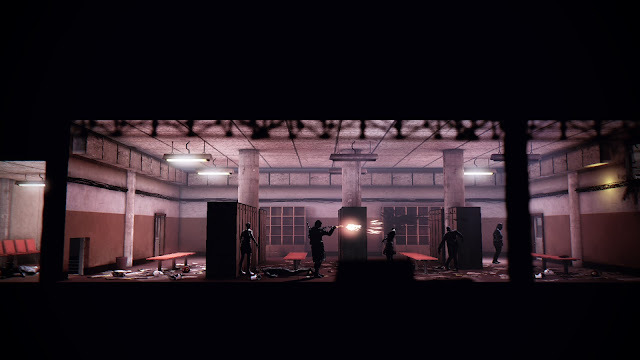 Reminiscent of games like Limbo, with its muted colouring and 2.5D side scrolling gameplay. It originally launched in 2012 for the Xbox Live Arcade. Set in the 80s, you play as Randall Wayne as he searches for his missing family. Seattle (where the game is based) is infested by zombies, zombies who may seem easy when alone - but get yourself trapped in a group and all hope is lost. This gives the game a great, uneasy tenseness, which coupled with the aesthetic of the game creates a fantastic sense of sheer panic as you run, wall-jump and bash your way through the levels. Platforming seems mostly solid, and there are some puzzle-y segments that are pretty challenging, but satisfying to figure out. Occasionally there are some faster-paced chases, which can be extremely panic-inducing, but these are very fun to do. The stark contrast between you, Randall, in the foreground and the complex, detailed (and much brighter) backgrounds is a beautiful thing to behold and definitely had me mesmerized for a few brief moments as it distracted me. The way the game plays out is great, and really gets you to feel for poor Randall as you play throughout its slightly disappointingly short story. Even with the hidden items dotted around, such as stat upgrades, exploring doesn't add all that much length to the gameplay. With a total gameplay time of around 5-6 hours, it definitely doesn't feel as long as it should, however being priced at £15-20 (which is what it currently stands at) does feel just about right. 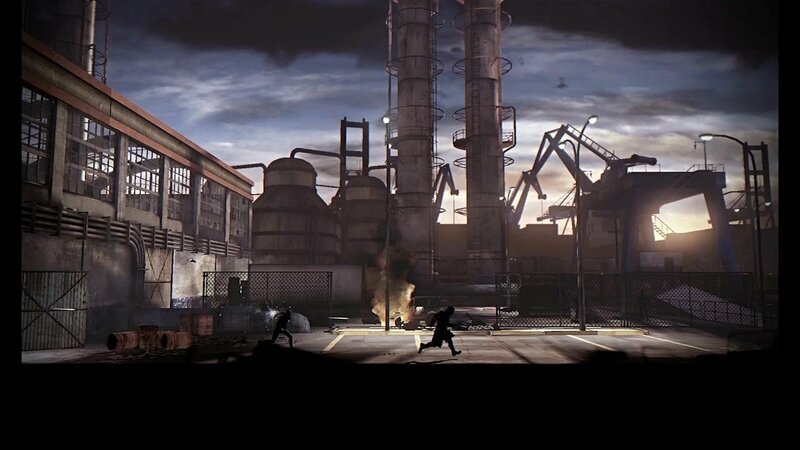 With the Director's Cut being pretty much the same as the original apart from visuals, I feel like some more stuff could have been incorporated. 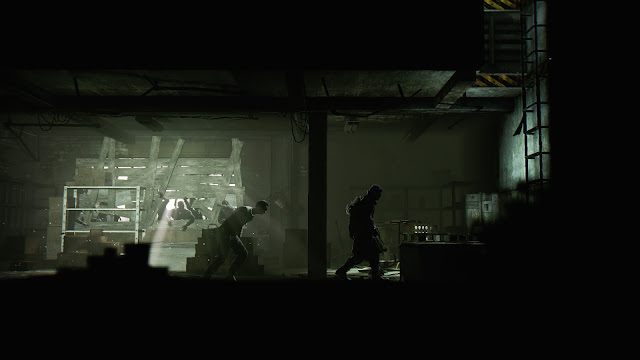 One thing that was, however, is the Survival Arena, a game mode that drops you in an over-run hospital with the aim to fend the zombies off for as long as you possibly can. This can be fun, especially as you gain additional weapons as you progress. This, combined with the upgraded graphics and intense gameplay all adds up to a really great game that I definitely enjoyed, and feel that first time players - who didn't play it first time around on XBLA - will really like what this has to offer. We'd have to give Deadlight Director's Cut a solid 8/10. I'm actually sooooo excited about this. It's another risky, gamechanging move for Nintendo, as always, but it really does look fantastic. The Legend of Zelda: Symphony of the Goddesses Tour is coming to GLASGOW! As some of you may already know, the Zelda Symphony is coming to Scotland for the first time, and it's coming to my hometown of Glasgow! I am super excited for this, and really cannot wait to experience it. It is taking place, for one night only, in the Clyde Auditorium on Thursday 20th October - that's LESS THAN ONE WEEK AWAY! Tickets are still available here, so make sure to get them soon! Vanessa: So how does it feel to be bringing the Zelda Symphony to Scotland for the first time? Jason: It is super exciting! The idea of bringing this show to fans all over the world is what keeps me motivated. V: What is your favourite Zelda game, and why? J: I like all of the games! Skyward Sword is probably my favourite because I produced the Orchestral CD that was included as part of the bundle. I'm most affectionate about that game because I feel as if I contributed to the Zelda franchise. V: Which Zelda game inspires you the most, musically? J: Majora's Mask and Ocarina of Time. V: Do you have a favourite part of the Symphony, for personal reasons or audience reaction? J: The finales always generate a positive reaction. It is overwhelming at times. V: Have any of the locations been particularly responsive (to a surprising amount), or has anything unexpected happened at any of the locations? J: Paris recently was amazing! The fans were very appreciative and yearning for more. They wouldn't let us leave! V: Is there a location not currently listed on the tour that you'd love to take the Zelda Symphony to if the opportunity arose? J: I am always looking at new destinations to take the show to. My goal is to bring the show to mass audiences all over the world. V: And finally, the "Master Quest" season will have been running for just over two years when it's done. Was this better than the shorter runs of previous seasons, or would you prefer to go back to a shorter season if the Zelda Symphony was to happen again? J: I am happy with exactly what we are doing. It's exactly what I set out to do when I started this project. Many thanks to Jason for taking the time to answer these questions for me, and I really can't wait for the event on Thursday. Have you been to the Zelda Symphony this season? Entries to the Asylum - Friday 7th and Saturday 8th October 2016. - Gears of War 4 Limited Edition "Crusher" Xbox One S.
- Mafia III Collector's Edition [Xbox One]. - Gears of War 4 Limited Edition Elite Controller. - Digimon Season 1 [DVD]. - Final Fantasy XV: Kingsglaive Steelbook [Bluray]. And also very happy to have Kingsglaive. I'd be getting it within the Final Fantasy XV UCE anyway, but I really wanted to see it now, rather than waiting for over a month. And at least the Steelbook in the UCE is different to this one, too. What new things have you picked up?